How often do you plan on using the machine? This is an important factor because while some folding equipment is designed to be used continuously, others are only meant to be used occasionally; constant daily use compared to perhaps once or twice a week in short runs. Certain paper folders can be used for mass mailing purposes, but not all are designed for this degree of use. Lower end machines are only built to handle light usage and would inevitably break under constant production. Be sure to choose a folding machine that will accommodate your specific folding requirements. What types of folds do you need this machine to perform? Although many common folds are standard for most paper folders, some units offer a larger variety of folds including the capability of custom programmable folds. Some common folds that you might be interested in are pictured below for your review. Determine which types of folds you are seeking before making purchasing decisions. What kind of paper do you plan to fold? You must consider the paper size, weight, and finish when narrowing down your folder options. Each paper folder has limitations as to the size of paper it can handle as well as the weight of paper it will work with. Compare the folders' specifications with your specific needs. The specifications will generally reflect a range of minimum to maximum sheet sizes and/or paper weights any given unit is capable of running. 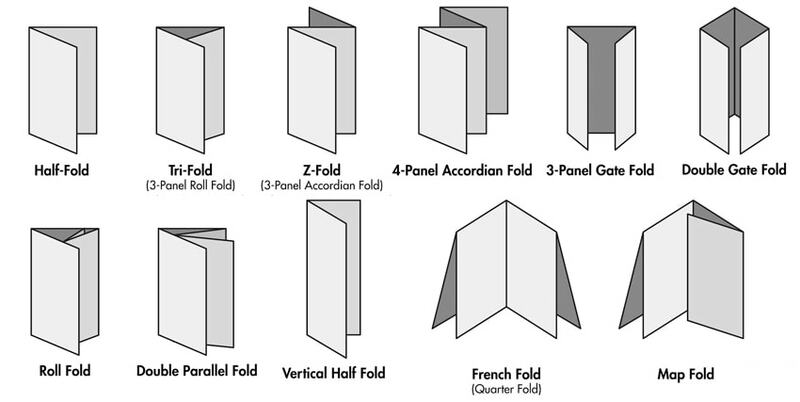 Be sure to choose a paper folder that will accommodate your current, as well as future folding requirements. If you are using glossy and fully printed documents, you may want to consider an air-fed paper folder, instead of a friction-feed folder; this will ensure there are no scuff marks on your pages. Will you have multiple recurring folding jobs? For some companies, this feature is essential for maximizing productivity. Programmable memory makes it possible to record or "program" the details of any given job, therefore reducing future set-up time and improving overall efficiency. Several folders offer this feature, however some are more limited than others as far as the number of memory folds per sheet, and total memory capacities. Folding paper by hand or using folding bones is time consuming, and therefore, costly. Purchasing a paper folder is an investment to be considered by all businesses looking to increase productivity as well as save money in the long run. 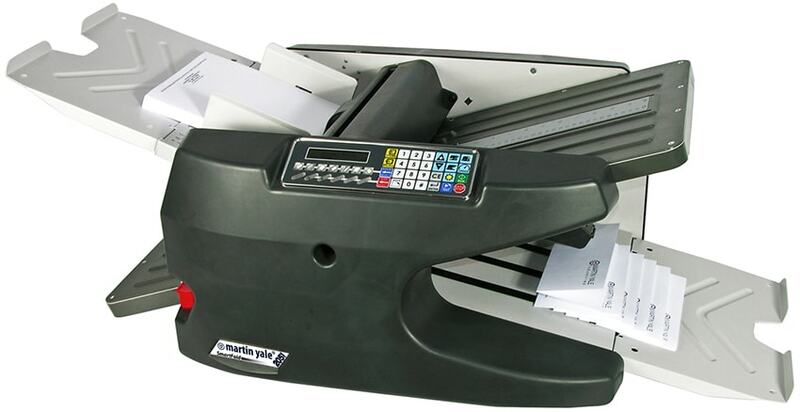 Once you have reviewed your business' requirements based on the above functions, you can shop the variety of paper folding machines we offer here. Whether you are buying a paper folder for your church directories, your school print-outs, your business mailers, your marketing tri-folds, or anything else -- we are sure to have the best paper folding machine for you. Just call us at (866)537-2244 (866)537-2244 if you need help making the right choice.